There will be a panel discussion next week. 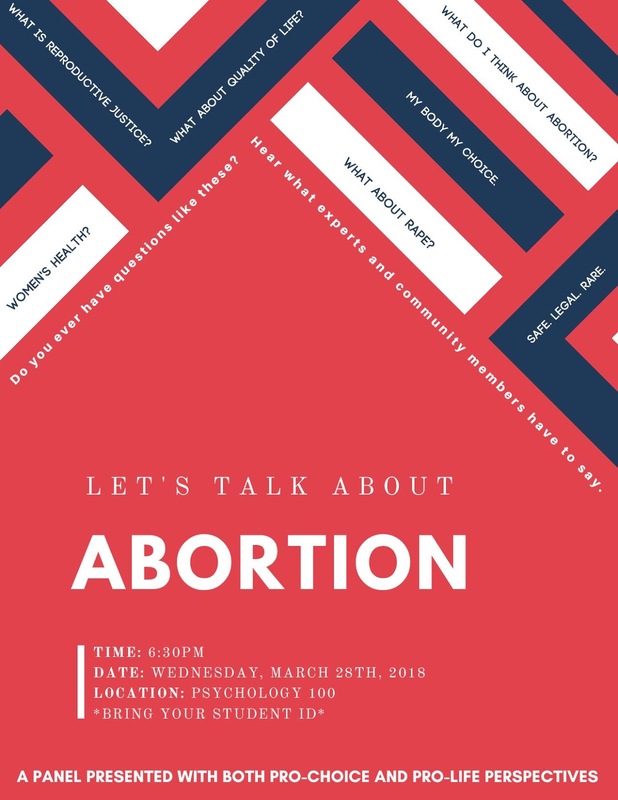 Let's talk about abortion: A panel with pro-choice and pro-life perspectives. The panel is open to the public, but please bring a photo I.D.